The Syrian Arab Army’s 137th Artillery Brigade of the 17th Tank Division opened fire on a U.S. reconnaissance drone today after it was spotted flying over the Thardeh Mountains of Deir Ezzor. 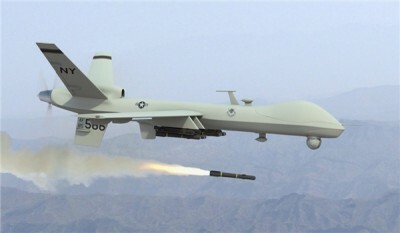 According to a source at the Deir Ezzor Military Airport, the 137th Brigade fired several shots at the U.S. reconnaissance drone in Jabal Thardeh, forcing it immediately leave the area after several warnings. Prior to the bombing that killed over 100 soldiers on Saturday, the Syrian Armed Forces allowed U.S. reconnaissance drones to freely fly above their positions in Deir Ezzor. However, due to the U.S.’ poor coordination with their Russian counterparts, the Syrian Armed Forces will no long allow any unauthorized aircraft to fly near the Deir Ezzor Military Airport and 137th Artillery Brigade’s headquarters.